Despite this past summer’s flurry of over-hyped overseas cancellations, Israel’s music scene is thriving. Indeed, one need look no further than the extensive roster of festivals that paper the creative landscape – from the kabalistic city of Safed in the north, to the hedonistic beach town of Eilat in the south – to find a festival lurking in every corner. Whether you prefer jazz, rock, classical, choral, rap or klezmer, there’s surely an event tailored to your taste. It wasn’t always this way. During the austerity years of the 1950s, festivals were hard to come by. One notable exception was the Ein Gev Festival which is still going strong, now in its 66th year. Held at Kibbutz Ein Gev on the eastern side of the Sea of Galilee during the intermediary days of Passover, it was originally conceived to bring culture to the “distant” northern region of the country. In the festival’s early years, that included a wide variety of arts – from ballet and folklore to choral and orchestral works (including the Israel Philharmonic Orchestra which made the journey up from Tel Aviv). More recently, the Ein Gev Festival has focused on presenting Hebrew music and choirs. There are now more than 70 vocal performances including every one of the country’s 300 singing groups, some of whom have been together for decades. While that gives the festival less of a cutting edge feel than it had in earlier years, it is still quite popular with Israelis who enjoy following along with the nostalgic classics of the country’s pioneering days. 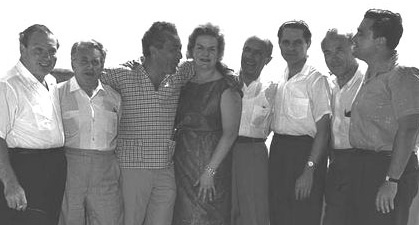 The festival scene took a major leap forward in 1961 with the launch of the Israel Festival, which to this day remains the country’s cultural anchor, bringing together dozens of performances from both local and overseas acts in a three-week period from May until June. While there is no shortage of international acts playing individually throughout the year, the Israel Festival hosts the greatest concentration by far. Originally staged at the Roman amphitheater in Caesarea, since the 1980s it has been centered in Jerusalem. The range of performances is staggering. 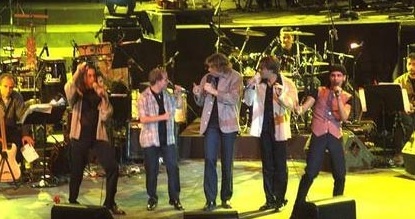 In 2010, for example, among the 50 acts one could see a Lithuanian version of Shakespeare’s A Midsummer Night’s Dream; dance performances by the local Vertigo troupe and Argentina’s Nuevo Tango; Itzhak Perlman conducting a program of young musicians; a theatrical version of a story by Nikolai Gogol; and nightly jazz at the Jerusalem Theater. There are also free musical street performances. 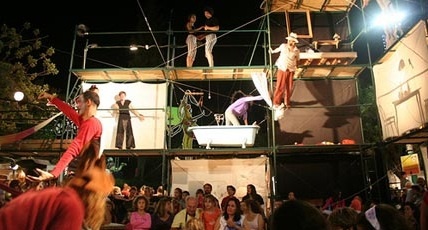 The 1980s saw a further awakening of the festival scene, most notably with the Acre Fringe Theater Festival, which was modeled on the acclaimed Edinburgh Fringe Festival. The Acre version presents mostly local theater companies, but the backdrop is particularly compelling: the Crusader castle setting and archaeological sites of Acre’s Old City. The festival was nearly shut down a few years ago due to riots between the Jewish and Arab populations in this mixed town, but has bounced back and now draws some 200,000 visitors a year. It is seen as a sort of staging ground for promising playwrights, producers and actors. While the Israel Festival and the Acre Fringe Theater Festival feature music prominently in their programs, there is no shortage of exclusively musical events. One of the earliest and most enduring is the Jacob’s Ladder Folk Music Festival. Founded by UK immigrants Yehudit and Menahem Vinegrad on a muddy kibbutz hill in 1978, the festival has grown to become an internationally recognized program that attracts talent from around the world and close to 5,000 Israeli folk music fans. It is held twice a year at the Kibbutz Nof Ginosar. Fans of Jacob’s Ladder compare the festival favorably with similar events in Europe and the US. Indeed, the relatively small size of Jacob’s Ladder gives it a homier feel that is perhaps more fitting for small Israel. The festival has branched out beyond its folk and country roots; in recent years rock, blues and a smattering of World music (such as the Balkan-gypsy-Russian band Yolki Polki) fill out the three-day line-up. Jacob’s Ladder takes place just north of Tiberias, on the opposite bank of the Sea of Galilee from the Ein Gev Festival. A bit further north you come to Safed, renowned both for its mystical Old City – the birthplace of much of today’s trendy kabala – and a funky artist’s quarter. Both are the unlikely setting for a festival featuring European Jewish “soul music,” or klezmer. The Safed Klezmer Festival was launched in 1988 and now features more than 100 performances, which fill every nook and cranny of the city as well as the local Red Mosque. Local artists set up their wares on craft tables and there are salutes to non-klezmer musicians such as the late singing Rabbi Shlomo Carlebach. The festival attracts upward of 15,000 visitors a year. Indeed, tallying up the demand for accommodations at the Ein Gev, Jacob’s Ladder and Klezmer Festivals, the upper Galilee region has experienced quite a boon. At the opposite end of the country, the Red Sea Jazz Festival may be the best known overseas of Israel’s music extravaganzas. Taking place in Eilat (in and of itself an international destination, tucked between Egypt, Jordan and Saudi Arabia), this festival is a major draw for international talent. Held over four days with nine concerts a night, six “clinics” and nightly jam sessions, plus an outdoor stage facing 4,000 seats, it’s no wonder that the festival has been graced by the likes of Chick Corea, the Mingus Big Band, Tower of Power, The Manhattan Transfer, Ricki Lee Jones, and Spyro Gyra since its inception in 1987. Meanwhile, classical music fans can claim their share of the music on Israel’s burgeoning festival scene. 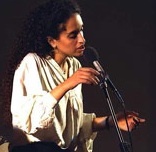 The premiere event is the Abu Ghosh Vocal Music Festival, which takes place in the Israeli Arab village of the same name, just a10-minute drive from Jerusalem. The festival is actually one of Israel’s veterans, inaugurated in 1957, but it was discontinued in 1971, to be re-launched in 1992. Music from Schubert to Bach, Mozart to Brahms, with a special “baroque hit parade” thrown in for good measure, is played in and around the Kiryat Yearim Church, with street performances popping up in the alleys, groves and grottos of the village. For hungry visitors, Abu Ghosh is also known for its outstanding hummus and knafe (an Arab dessert made with cheese and pistachio nuts), and the local restaurants do a brisk business during the weekend-long festival. During the past 10 years, the festival landscape in Israel has taken a turn toward the new age. The biggest of the new age festivals is Boombamela. Launched in 1999, it is held during the intermediary days of Passover, and upwards of 40,000 people congregate on the Nitzanim beach between Ashdod and Ashkelon to go with the flow. The festival grounds are divided into small “villages,” with a holistic area, which includes workshops in various forms of artistic expression, meditation and lots of yoga; a “green revolution” village, which – in full new age garb – describes itself as an “alternative universe that runs parallel to this one…waiting for you to switch sides” (it also features more plebian concerns such as a recycling center); a face and body painting area; and in recent years, a prayer quarter, for those who want to more fully observe the Sabbath. And then there’s the music, of course: Nightly concerts on the water; two trance dance floors in the sand with live DJ’s; and even belly dancing. And oh yes, for those with a less-inhibited vibe, there’s a separate nudist beach. Sagol is a more laid back new age festival, which focuses on “love and meditation.” Sagol is the Hebrew word for “purple” (“the color of the third eye, signifying the metaphysical world,” its organizers say), the Sagol Festival is held twice a year and attracts a turnout of around 5,000 for those “seeking spiritual essence and awareness.” The main musical program is on Friday night and starts with the Kabbalat Shabbat (liturgical prayers welcoming the Sabbath) service. The Sagol Festival, first held in 1993, is actually part of a bigger endeavor – the Sagol Eco-Village, which trains participants in sustainable building practices with mud, organic gardening, and daily meditation. Volunteers also set up the festival itself, which wanders between its home base in the Negev desert and locations further north (the Hof Dor beach and Beit Shean in the Jordan Valley have both hosted Sagol in recent years). Israel’s many festivals take place primarily on weekends and during the Jewish holidays. One could argue that these art and music festivals serve as a counter-balance for non-observant Israelis to the more traditional rituals practiced by religious Jews, making them a sort of alternative spiritual nourishment. In Jerusalem, however, festivals are not held on the weekends. That hasn’t led to a shortage of music, however. The capital’s leading event is the annual Hutzot HaYotzer festival, for more than 30 years the country’s largest arts and crafts extravaganza. Every evening at 9:00 pm Israeli superstars take to the stage in the historic Sultan’s Pool with the Old City walls looming above. In recent years, Hutzot HaYotzer’s musical line-up has included bad boy Aviv Gefen; indie rockers The Church of Reason; master of modern Israeli love ballads Ivri Lieder; outrageous rappers HaDag Nahash; and Mediterranean crooner Arkadi Duchin. And at NIS 40 (just over $10) a ticket, including both concert and entrance, it is undoubtedly Israel’s best festival deal. The list of Israeli music festivals goes on. There’s ethnic, with the annual Oud festival dedicated to the Turkish instrument that looks a bit like a pear-shaped guitar. If you prefer something more dramatic, there’s the sunrise rock concert atop Masada at the Tamar Festival. Another festival devoted to a specific instrument is the Guitar Festival of the Desert, and for nostalgic Anglos there’s the annual Woodstock Revival. Exclusively Jewish music is on hand at RockAmi, while energetic small label rock can be found at the In-D-Negev program. A tribute to music from Spain, Portugal and Belgium can be heard at the Dona Gracia Festival, while bible lovers will groove to the sounds of Ehud Banai and Dudu Fisher at the Bible and Love Festival. This article originally appeared in January on the Ministry of Foreign Affairs website. 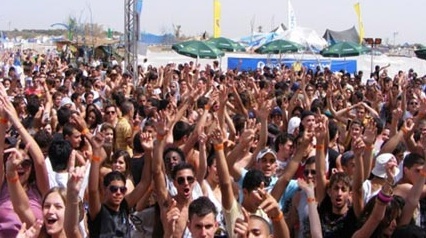 A related article on the Top 10 Music Festivals in Israel is on the This Normal Life website.